Known as much for his comedic achievements—as an actor, author, and social critic—as for his activism, Gregory is the forebearer of today's new generation of black comics, including W. Kamu Bell and Trevor Noah. But Gregory has always kept it indisputably real when discussing race in America, fearlessly lacing laughter with controversial truths in a manner that is inimitable his own. 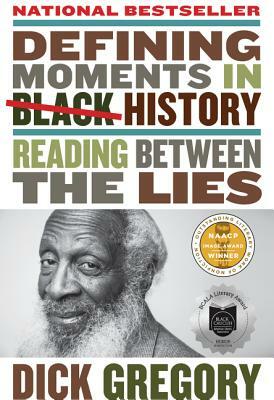 Now, in Defining Moments in Black History, Gregory charts the empowering yet often obscured past of the African American experience. In his unapologetically candid voice, he moves from African ancestry and surviving the middle passage to modern-day protests, A captivating journey through time, this collection of provocative essays explores historical movements such as the Great Migration and the Harlem Renaissance, as well as cultural touchstones, among them Marian Anderson's performance on the steps of the Lincoln Memorial and Billie Holiday's haunting delivery of "Strange Fruit."